Except for the last year, I’ve spent my last 4 summer holidays in Mundos Digitales, in La Coruña (Spain), the best conferences on Animation, VFX, Videogames & Digital Architecture in Spain. It was hard for me not to go last year, so I couldn’t miss this edition. But how can I summarize 5 days with great friends, inspiring conferences by great speechers, delicious drink & food…in a lovely city? I just want to share an anecdote: one of the speechers was Paul Debevec (a legend in this industry). For those who don’t know him, he’s a researcher in computer graphics at the University of Southern California’s Institute for Creative Technologies. He is best known for his pioneering work in high dynamic range imaging (HDRI) and image-based modelling and rendering (IBMR). 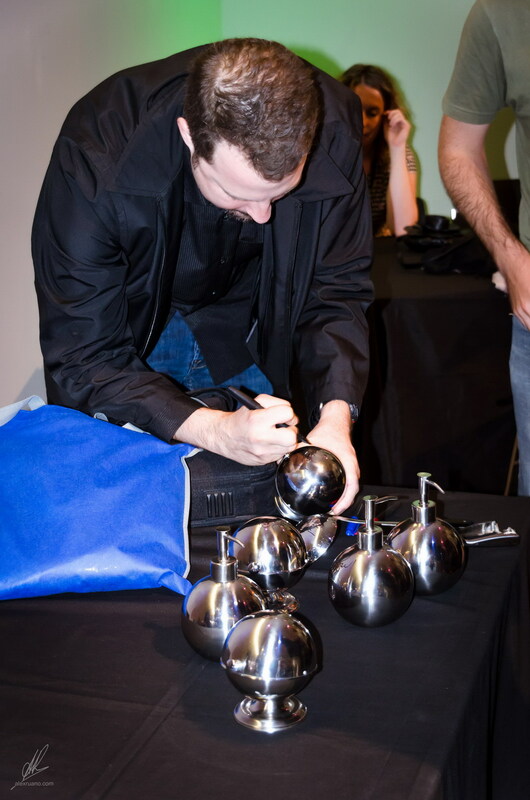 Techniques based on Debevec’s work have been used in several major motion pictures, including The Matrix (1999), Spider-Man 2 (2004), King Kong (2005), Superman Returns (2006), Spider-Man 3 (2007), and Avatar (2009). 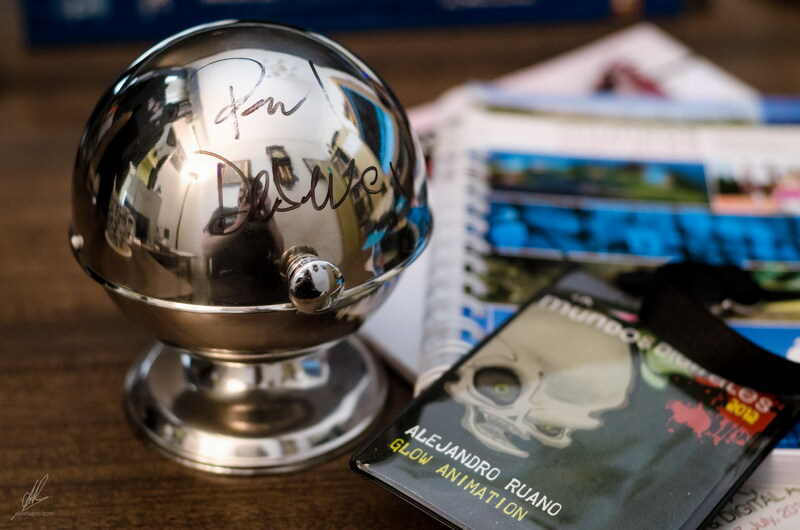 Well, my friends & I thought it could be a great idea to buy some chrome balls (as the ones you normally use to get HDR images), and ask him to sign on them as a keepsake. 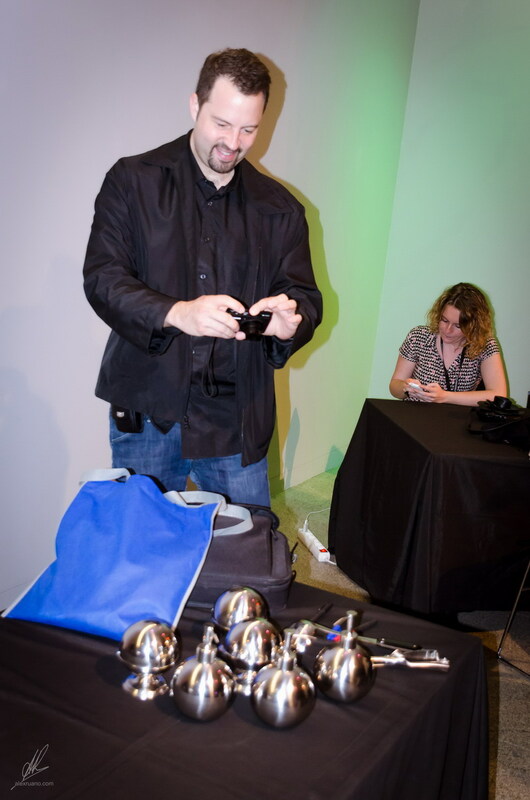 But we couldn’t find any, so we ended up bringing him a collection of reflective spherical things, such as sugar bowls, soap dispensers, soup & ice cream spoons….. He laughed and he was kind enough to sign those things and let us take photographs with him, but I’m pretty sure he was thinking something like “these Spanish people are crazy”….. So, thanks a lot for this memorable moment, Paul.